As primarily a headphones guy, I had never even heard of Focal before this summer. Shortly before attending the London Can Jam in August, the hype regarding the new Focal Utopia ($4000) and Elear ($1000) had reached a fever pitch – so much so that I put it high on my list of items to try out. Turns out that so did everybody else. 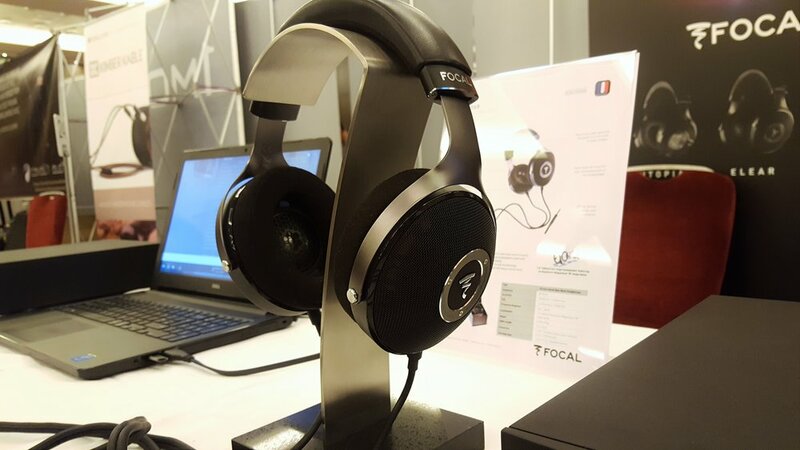 Four seats at the venue were constantly occupied, the two at Focal’s booth and the two at Moon Audio’s booth – who also had a Utopia and Elear. In between the two, I had some time with both and walked away muttering that it seemed the hype was real – but I needed a quiet environment to be sure. I made the decision that day to pursue the Elear, as the Utopia was far out of my reach, and to dissect its sound reproduction for myself. After nearly two months, I am ready to publish my findings. The earpads are memory foam and not a struggle to wear or tame. It, along with the clamp, does not add pressure to the point of discomfort or pain – far from it in fact. I’m lounging around, writing this, with it having been on my head for hours now and I don’t feel fatigued at all. The only full-sized headphone in my possession that I can say that about is the lighter HD800 - making it an achievement of the Elear’s design that it can manage this with its heavier weight. Yes, the weight. This headphone weighs 450g and that is without the simultaneously incredible yet ridiculous cable that is provided in the box. This cable is 13ft/4m and shielded so thick you would think the answers to the meaning of life are hidden within. Make no mistake, I much prefer a good quality cable to an afterthought-cable with no effort put into it – but I’m fairly sure Focal was thinking primarily of people sitting on their couches whenever they wanted to take a break from a Focal speaker system with something more intimate. 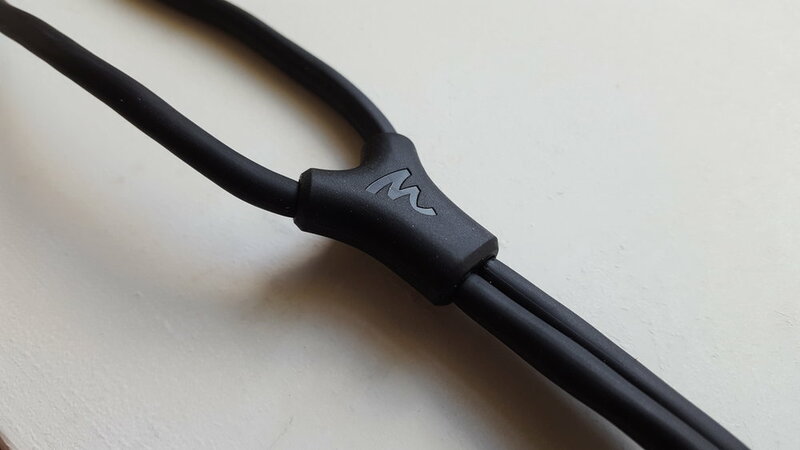 That being said, the connectors on each side of the headphones are 3.5mm and, thus, so easily swappable - no proprietary connectors here folks. The weight of the headphones themselves do not bother me so much either, but keep in mind that I was recently promoted to captain in the great war against heavy headphones. I’ve fought the HE-500 and two Omnis and survived to find the Elear a comfortable wearing experience. All joking aside, the weight distribution on this headphone is such that allows for this. The cherry Omni was of a very similar weight, but the nature of the T50RP frame made it awkward to fit on my head comparatively – even with the ZMF pilot pad. I spent longer than I’d like to admit trying to make the HE-500 more comfortable, so an out-of-box comfortable listening experience is something I applaud. I spoke with Nicolas Debard at the London Can Jam in August and he told me that the Utopia and Elear were created with their in-house construction of an “M-shaped dome.” This was done in order to maintain the usage of electrodynamic drivers while offering an experience that is similar to speakers. There’s more to it than that, but I’ll let the man explain himself. Ultimately, these headphones just look so great as well as possess the advantages listed above. Beauty is in the eye of the beholder, but as I said earlier – I found the Elear to look more distinguished than the Utopia even. 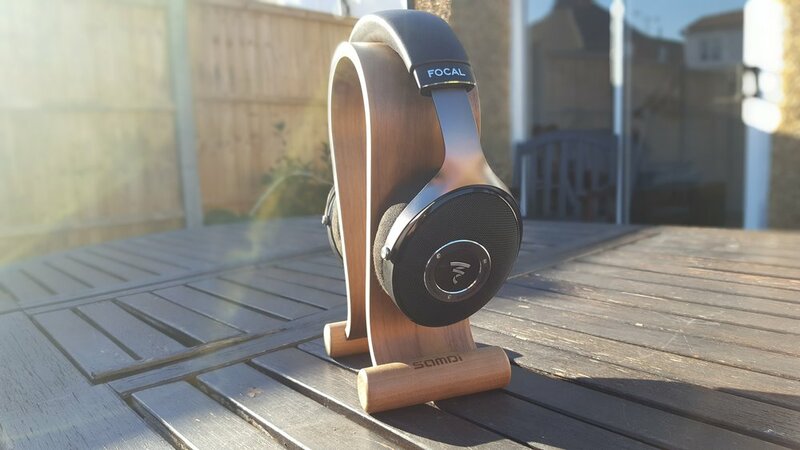 A quick browse through Focal’s website shows that they want to position themselves as a luxury brand, and stylish above all. This is further proven by the €100,000 gold-and-diamond studded Utopia being created recently for sale. That’s all fine and good, but it isn’t what I’m about at all. An average dude like me doesn’t subscribe to the marketing practice of being sold a lifestyle rather than a product - and I would find all that luxury-positioning pointless if the sound quality was average-at-best. Luckily, Focal backs up their image with ample substance. The sound of the Elear is unlike any I’ve heard in headphones that I’ve owned in the past. If I had to pick one that is somewhat similar to it, it would be the ZMF Omni. However, the Elear has a dynamic quality to it that has been absent in all my previous headphones, with the Sennheiser HD800 coming closest. What I mean by this is that the Elear pushes music out to the listener in an almost startlingly, at first, quick manner. This is not a laid back headphone, like the Omni, and it takes no prisoners in its sound reproduction. It is fast, very fast – and more than likely to surprise you at first until you are used to it. I always notice how certain instruments sound best on certain headphones that I’ve reviewed in the past: the HD800 being especially great at strings and orchestral recordings, the Hifiman HE-500 being especially good at vocals and the Omni standing out for how it showcases acoustic guitars. The instrument that stands out the most on the Elear is the piano, particularly a grand piano. The attack on the key hits is immense and startling, and you can feel a piano riff in the chest if it is emphasized in a song’s production enough. The soundstage of the Elear is quite intimate, especially for an open headphone. Despite not owning them anymore, I would say it’s similar to the Sennheiser HD600 and Hifiman HE-400i in this regard. However, its dynamic nature provides for an interesting listening experience where an intimate soundstage can still feel rather full and detailed. This is because, once again, the Elear loves to take every instrument in a song and throw it at the listener – reemphasized. I found that, with most headphones, I would find that a certain instrument or vocal in the mix was most pronounced – with the rest of the mix falling behind to give that particular melody space to carry the song overall. This would make for an interesting experience with the HD800 sometimes, where a drum beat’s cymbal pattern would land squarely on the frequency chart of the headphones that emphasized treble – leading it to sound a great deal more pronounced than, I would imagine, even the personnel in the mixing room at the time of recording intended. I would classify those headphones as having a more linear presentation to them. A semi-useful analogy I can think is the idea that those headphones are an assembly line, producing a single unit at a time in a long conveyer belt. What the Elear does instead is reproduce sound in what seems like batches, with each second of listening presenting a number of sounds in equal measure. This is not to say that the Elear is turning around the mixing and mastering (particularly the chosen volume of different instruments) process and brickwalling each instrument to a point where there is no dynamic range in a song. Far from it, song dynamics are well presented – you just have to get used to how it’s done. This is because, ultimately, the Elear has a “chunky” sound. As mentioned before, the batche reproduction of sound makes it so one single instrument or melody does not take centre-stage nearly as much. Take the introduction to the Dark Side of the Moon album by Pink Floyd; a track known as Speak to Me. As the heartbeat referencing bass drum slowly gets louder, all the samples of clockwork, machinery and voices are spread on top as the song builds in suspense. If I had listened to that track with the Massdrop x Fostex TH-X00, the heartbeat sound would have been emphasized over all else. If I listen to it with the HD800, the machinery and voices are swirling around with a sharp and clear presentation – due to the HD800’s massive soundstage and imaging. I could continue with examples, but I’m sure you get the point. What the Elear does in this song is take every sample and bring it up close and personal to the listener in a manner that would be undoubtedly more strikingly noticeable than on many other headphones in this price range. Yes, this has something to do with the narrower soundstage on the Elear than the HD800 – but that doesn’t excuse just how much more noticeable each instrument is as the album carries on. The Elear has a rather “full” sound to it, and this fact has a lot to do with the bass extension and performance. While not overly bassy headphones by any means, certainly not on the level of the TH-X00, the Elear has a bit of a boost to its bass frequency in order to give it a kick in the low-end. I don’t find the bass wanting with most genres of music I throw at it, including electronic and dance-pop music. I was actually surprised that the sub-bass extension is quite similar to that of the ZMF Omni, which is a semi-closed headphone that is heavily dependent on a good seal to perform in this regard. This is one of the several characteristics of the headphone that would disqualify it from being called “neutral” or from being used in a recording studio for mixing music – with the trade-off being that it makes the chorus of The Hills by The Weeknd sound so full and present. The lower midrange of the Elear is quite a delight. It shares characteristics from the cherry iteration of the ZMF Omni, in that it can pleasingly reproduce acoustic guitars. Guitars and male vocals fall into this area and are presented supremely, with body and texture that are quite natural in their presentation. Like the Omni, and to a lesser extent the Meze 99 Classic, the Elear has an “earthy” quality to the lower-mids that champions the idea of perfect imperfection – contrasting with the HD800’s emphasis on accuracy and the sharply analytical reproduction of audio. The midrange itself is nowhere near as “liquid” as the HE-500, a quality that makes the Hifiman headphones shine with vocals. However, it has more detail to it than the Hifiman – not quite as much as the HD800 but a surprisingly intense amount regardless. A song like Patience by Guns N’ Roses, with its layering of acoustic guitars, brings out the strength of the dynamics, midrange tone and detail of the Elear. The song is chock full of guitar fills and licks that accompany the rhythm guitar, and the Elear’s fast and full midrange makes it certain that the arrival of such an event is presented realistically – with the picking and strumming ringing out clearly and standing apart from the rest of what is going on in the song. As Axl Rose’s voice croons over the instrumentation, I can’t help but be surprised by how each track is not overshadows by anything else. The chunky, batch-producing nature of the Elear is really quite impressive. That being said, the upper midrange feels a bit subdued, with female vocals having a slight dip in weight and body compared to male vocals. The dip also makes the Elear a little dark in presentation compared to the HE-500 and especially the HD800 – and not quite unlike the Sennheiser HD600 and HD650. Classic rock recordings with older recording methods, such as most tracks on Led Zeppelin’s first few albums, feel a tiny bit stifled because of this – with the songs feeling like they are hiding behind a soft wall of sorts. This is something that I noticed in the ZMF Omni as well, but the HD800 is the best headphone I have owned in terms of tackling this tricky area on the frequency chart – leading to such recordings ringing out clearly. However, it is further on in the frequency chart that the Elear redeems this fact. The treble of the Elear is never sibilant, to my ears, and I am quite grateful for that. Due to this, I can safely say that I can get an enjoyable listen with most genres of music. However, it is further up the graph that the treble returns with a vengeance – making the Elear the headphones with the most snap I have owned yet, that isn’t V-shaped. The snare drum on some headphones with a warmer tone, or slightly dark nature, leads to an unsatisfying “thud” sound on the snare. The Elear, to put it simply, does not. Be it an EDM snare, a rock song, a metal song, a pop song or even a futuristic blip-snare in a genre I have never even heard of – the Elear will make it sound right. This, coupled with the bass bump, makes the headphones slam in a very fun manner. The treble extension even gives instruments some air around them. Of course, this is nowhere near the capability of the HD800 – but the trade-off of that is that the Sennheiser headphones can get quite painful and strident at times. The upper-treble clarity on the Elear leads to all the aforementioned detail coming out in songs, such as the realistic twang of Slash’s lead guitar work in Patience. While the cherry ZMF Omni produced my favourite (and most realistic) sound of strummed acoustic guitars, it didn’t make single notes pop nearly as much as the Elear does. Cymbals sound accurate without demanding listener attention by drowning anything else out. The mixture of the aforementioned ingredients has made the Elear the most fun listening experience for me from any full-sized headphone that I have owned since I entered this hobby with the purchase of a Beyerdynamic DT990 600 ohm in 2012. Keep in mind that the Omni held this position before Focal released this beast of a headphone. That should tell you where my biases lie, with more musical listening experiences rather than neutrality or super-high resolution. However, the way the Elear presents sound makes it so I don’t feel like I’m missing out on an analytical experience either. There is a good amount of air around stringed instruments so I don’t have to always switch to the HD800 whenever I listen to orchestral/classical music – especially if I’m feeling lazy. I know that the Elear’s sonic characteristics may be a deal-breaker for some, especially the small soundstage and the fact that the imaging is nothing special. However, I would boldly claim that a majority of listeners would really enjoy the sound that this headphone outputs. It’s musical without losing shimmering detail because of any treble roll-off. It’s punchy and fast, with metal music sounding right at home with double-kick drums ringing out clearly in the mix. Most importantly, for this sound signature, it doesn’t lose breath up top – with the treble making it sound very resolving without reaching an area of sibilance. For anyone reading who has gone through the pain of demo’ing various amps to find one that was a good match for their HD800, I understand entirely. I’ve listened through amps that made me feel like my ears were being stabbed with those headphones, but I’ve also encountered amps that made the experience come alive – taming the peaks without losing what the HD800 was created to be. The Elear isn’t like that. It sounds like itself when I use it with my Schiit Magni 2, Cavalli Liquid Carbon or even my portable VE RunAbout Plus. It is not hard to drive either, with its 80 ohms impedance being quite sensitive. While some headphones have a high ceiling, the Elear simply does not – letting you drive these quite easily and get the full-experience. I definitely appreciate that it can sound so similarly spectacular from my $99 Magni 2 and $599 (first-run) Liquid Carbon, with any differences being in house-sound mainly. I’m bound to be asked this. Make no mistake, I caught myself wondering if the Utopia was really worth being 4x the price of the Elear when I first tried them both out at the London Can Jam. Such thinking is pointless because we are all well-aware of the diminishing returns of the audio game. The short answer is that yes, the Utopia outperforms the Elear. It has detail that trumped the HD800 even, to my ears, without sounding harsh or treble-emphasized. It was, rather, a natural sounding and dynamically detailed listening experience that impressed me more than the Sennheiser Orpheus did. That being said, it is slightly towards the bright spectrum because of this – while the Elear is slightly warmer and bassier. 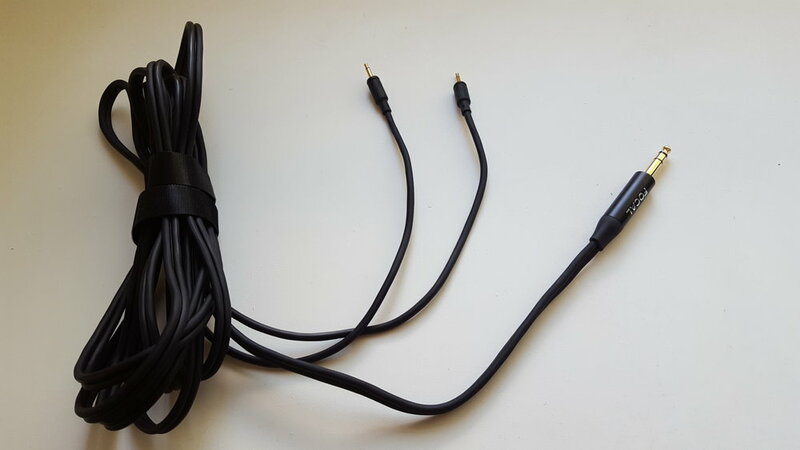 The Elear provides a stellar amount of detail while retaining a fun sound signature that is compatible with most genres of music, and particularly being forgiving of most recordings of music. The Utopia is more on the analytical side of things. Even if you are a lover of vast soundstages and hyper-precise imaging, I would recommend that you demo the Elear. Now that I’ve reached the conclusion, I’m trying to avoid using any clichés, but I’m failing at it because this headphone has made a lot of music come alive with far less discrimination than some of the others I’ve owned in the past. The HD800 is the only headphone in this price-range that I would say holds its own against the Elear on some fronts, (soundstage, imaging, detail) but most other headphones at this price range are going to struggle to match up – be they planar magnetic or dynamic. To a guy like me, who has minimal experience with the dynamic attack of an electrostatic, the Elear took some getting used to – in a good way. Having instruments, especially pianos, pop out in recordings was not something I had consistently experienced before during home listening. Listening to music is simply not a passive experience with this headphone, but rather an engaging one that can even distract you if you were foolish enough to hope for a background listening experience. It’s a little warm, has ample bass, a clean midrange that allows for impressive instrument separation in well-recorded, mixed and mastered music (modern production methods particularly) and has a comfortable treble extension that allows for the resolve and slam to happen. It’s easy to drive, has good weight distribution and is comfortable to wear – all while looking like a premium product. I had never heard of Focal before this summer, but they walked in and took the spot of my highest recommendation of full-sized headphones (under $1000) with such ease that I can see why they took four whole years on the R&D of this headphone and the Utopia.